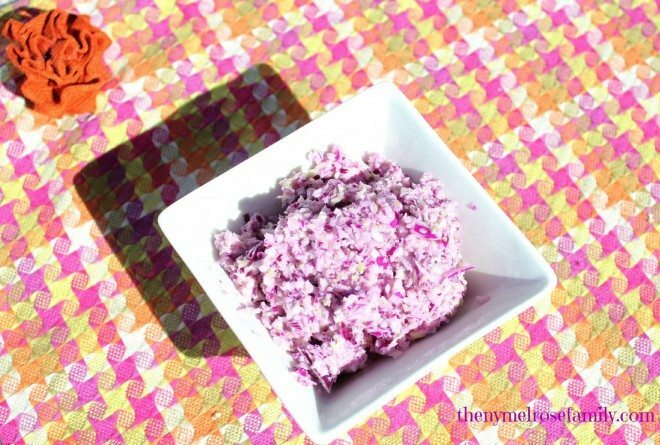 My red cabbage coleslaw is a sweet, light side that is perfect for any cookout. When it comes to coleslaw I’m a bit of a snob. I don’t like my coleslaw loaded with mayonnaise and I especially don’t like it if it doesn’t have a little sweet zip to it. My red cabbage coleslaw has both of these things. Plus, it’s so easy to put together. The simplicity of this coleslaw comes from the ease of using the food processor. Riley loves making this coleslaw because she feels like an active participant of the process because she gets to push the button that does all the work on the food processor. Therefore, she has made the coleslaw, which is fine by me. I find that if she actively helps make something then she is more likely to eat it. Plus, she loved the fact that the coleslaw looked purple (Her favorite color is purple). 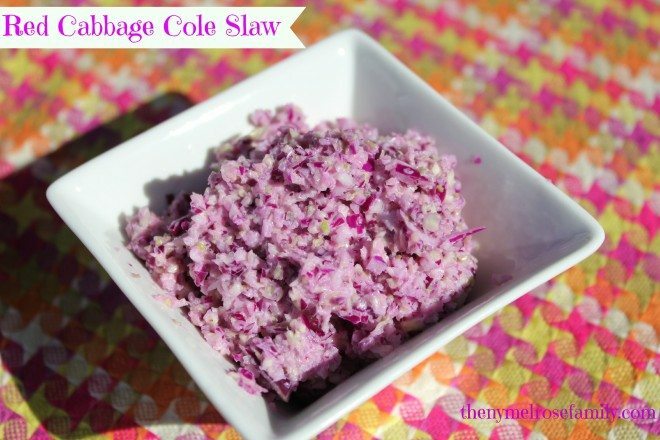 A sweet red cabbage coleslaw with a slight zip that is a great side salad. Combine both cabbages and carrots in the food processor and pulse. Coat with mayonnaise, sugar and cider vinegar. 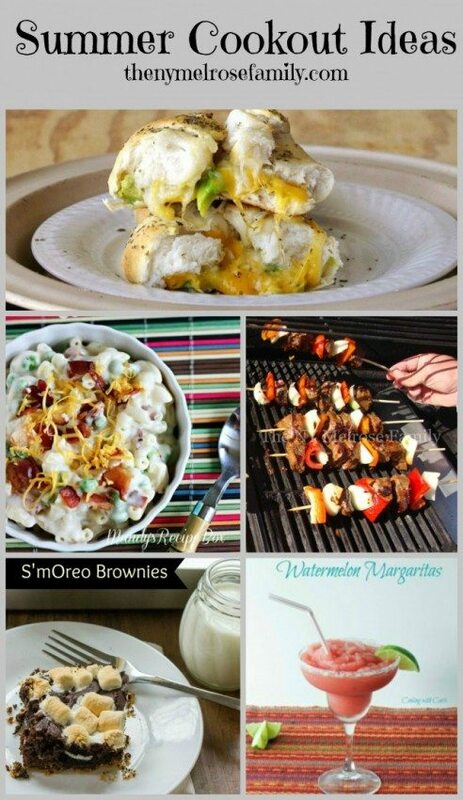 If you’re looking for more cookout inspiration, be sure to checkout my Summer Cookout Ideas. I totally agree! I hate mayo based coleslaws! It’s too heavy and not safe to keep out long in the summer heat. (Hello food poisoning!) I’ll totally make this slaw! Looks soooo good! Jenny, this is almost too pretty to eat but I have to say it wouldn’t last 10 minutes in my house, I love cabbage and especially in cole slaw. Can’t wait to giv this recipe a try. Thanks for sharing and I’ll be featuring you this week at Thursday’s Treasures!